Truffleupagus provides delicious menu plans, catering for events, parties and weddings, and can be found at vegan festivals and fairs. The food is innovative and uses top quality vegan ingredients to making everything from sauces to pies, cakes, pastries and salads from scratch. The Vegan Rocket opened its doors in 2018. Located in the heart of Lisburn’s Shopping Precinct, The Vegan Rocket is Lisburn’s first exclusively vegan eatery. We have a wealth of experience within the catering and hospitality industry, with over 20 years. We offer outside catering for festivals, weddings parties and more. 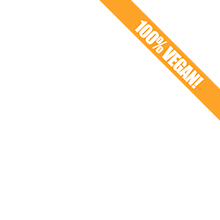 The Vegan Rocket also supplies all the cakes and food to other cafes, restaurants, and hotels, in the greater Belfast / Lisburn area and also Ballynahinch and Newcastle area. Contact us for more details, or see wholesale section of our website. We are a 100% vegan home bakery just outside Lisburn NI. Gluten free friendly. Items available on request and at local markets. Vegan Market Stall and Catering Service. We are your passport to delicious Plant-based food inspired by flavours from around the world and sold from my tasty travelling market stall. I am always creating and experimenting with new ideas and ingredients and it is my aim to share as much of them as possible with you lovely people. We provide a delicious, homemade Vegan Catering service for your event, party, festival or market.